From its humble beginnings in the 1950's Daiwa has grown to become a behemoth of the fishing tackle industry. While highly regarded for their fishing rods and accessories the stand out product is their fishing reels and more importantly the Daiwa spinning reels. Its flagship model the Daiwa Saltiga is revered among those of the sportfishing as a must have big fish tamer. Dog tooth tuna, amberjack, kingfish, GT's, sampson, sailfish and almost any other xos line pulling fish you can think of is in the fight of its life when pitted against this reel in the hands of a competent fishermen. While much of Daiwas top end gear is classed as exceptional its lesser priced offerings are also held in high regard and include some of the biggest selling reels in the world. 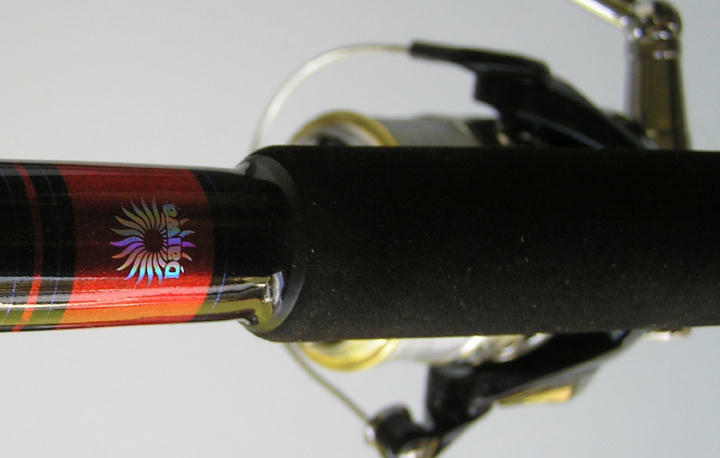 For the beach the Daiwa Emblem is considered one of the best long casting high retrieve reels available with its quality build able to resist the harsh salt water environment. The Daiwa Saltist on the other hand is working its way nicely into the crossover bracket. High speed retrieves, large line capacity, corrosion resistant design and the guts and versatility to take on anything from offshore kings and tuna to heavyweight beach species. While some of the smaller sizes of Daiwa reels are designed to tackle smaller fish they don't necessarily carry smaller prices. Many of the high quality smaller fishing reels have forgone price for lightness and performance. The Steez for example is the best example of this, with the smallest model of the range coming in at 6.9 ounces which is a tiny 195 grams. The cost of this reel has been poured into its components with a high quality magnesium body accentuated with magnesium side plate and rotor ensuring this light weight still has the strength to go up against the strongest of fish. A whole raft of other purpose designed offerings are available with fishing reels to suit most every budget. Matching rods carrying similar names take some of the guess work out of choosing a decent fishing combo. Parts availability is good, and back up service for warranty purposes is as you would expect for one of the leading manufacturers with this kind of reputation. One area of note is be cautious if buying online that you are getting the model you think you are. US, Australian, and JDM (Japanese Domestic Market) reels may be have different specifications and in some cases are very different reels. This isn't isolated to Daiwa several other manufacturers and distributors also do this which muddies the waters that bit more for everyone. Style, range, quality, and service at fair price are all there for most of the Daiwa spinning reel range. On the whole if you are looking for a good spinning reel then Daiwa ticks the boxes on most things a fishermen wants.